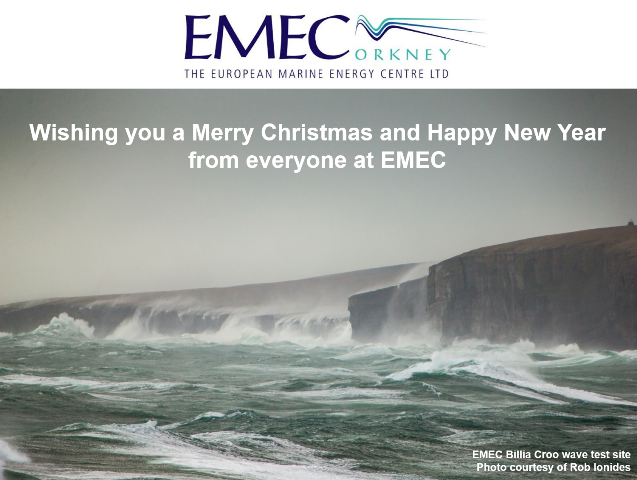 2017 has proved to be a busy year for marine renewables here at EMEC. We have welcomed back some returning clients, have witnessed some tremendous achievements from those testing at our sites, have been assisting new clients in readying their technologies for deployment over the coming months, and have been working closely with many developers across the globe at earlier TRL to support their progression towards real-sea testing. 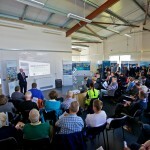 Following a huge effort by the EMEC operations team and Bryan Rendall Electrical, our electrolysis plant at our Caldale substation on Eday was commissioned in August, and hit the headlines when we announced that we had achieved a world first by producing hydrogen gas using electricity generated from tidal energy. The ramifications of this milestone are enormous: the hydrogen is carbon neutral (as it has been generated by renewables and emits no CO2) and can be used for transport, heating, agriculture, and even turned back into electricity. And that’s where the Surf ‘n’ Turf project comes in. 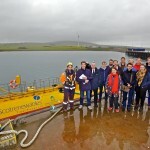 Using both tidal and wind energy, Surf ’n’ Turf will use EMEC’s electrolyser to generate hydrogen, transport it to Kirkwall, and use a newly installed hydrogen fuel cell on Kirkwall Pier to convert the hydrogen back into electricity for use by the inter-island ferries whilst berthed at the pier. This pioneering project was officially launched by Scottish Business, Innovation & Energy Minister, Paul Wheelhouse, in September following the installation of the fuel cell. 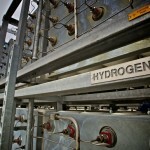 The project is identifying, developing and proving the steps and logistics required to build this out on a larger scale, and has paved the way for a number of subsequent hydrogen related projects including BIG HIT, PITCHES, NOAH… more on them next year. 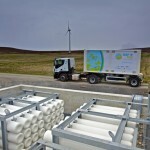 This remarkable development brings endless opportunities and we are excited to see what the future holds for hydrogen projects here in Orkney. 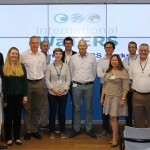 FORESEA: Since last year’s successful launch of the €11m Interreg NWE FORESEA programme which supports ocean energy technologies by providing access to real sea testing, the team have run three open calls for applications. To date, 38 developers, spanning the four FORESEA test sites (EMEC, DMEC, SEM REV and SmartBay), have been successful in receiving ‘recommendations for support’ with 22 selecting EMEC as their first choice. Work continues with the 4th call, open until June 2018 and looking to attract applications from supply chain as well as device developers. Scotrenewables and Tocardo were the first to benefit from the programme. Both began testing at EMEC with support from FORESEA in early in 2017 and both have achieved significant results, demonstrating the importance of real-sea testing in technology development. FORESEA is proving a real boost to developers, by reducing the cost of accessing world-leading test facilities, and helping to attract further investment. This has been the case for Laminaria, who along with CorPower will be among the next wave of developers put to the test with help from FORESEA. MaRINET2: MaRINET2 was launched in February this year, and the second call for applications opens on the 15th January 2018: further details will be provided in the new year. EMEC encourages any developers interested in testing at our scale test sites to get in touch in early 2018 to see how the programme could help support the testing at EMEC’s sites. The call will be open to transnational companies, developing systems and components for the offshore energy sector, including wind, wave and tidal energy technologies. In total we have had six developers testing out on our sites across the year, meaning that we have now hosted 19 wave and tidal energy clients, with 30 marine energy devices at our sites – that’s more than any other sight in the world. Wello Oy: This year we welcomed back Finnish company Wello Oy who initially tested at EMEC in 2012. 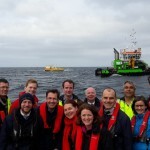 Wello’s ‘Penguin’ wave energy converter (WEC) was successfully installed by Orcadian contractor Green Marine in March as part of the EU Horizon 2020 funded CEFOW project, generating electricity into the national grid in April. The Penguin has remained on site since March, surviving numerous storms including wave heights of up to 18.7 m experienced during storm Caroline. As part of CEFOW, Plymouth and Exeter universities completed the first set of ecological surveys, which will be repeated over the following two summers to monitor the cumulative impact of multiple WECs on the seabed habitat and associated ecosystem. We look forward to the arrival of a further two of their WEC’s which are due to be installed at EMEC over next two years as part of the CEFOW project. 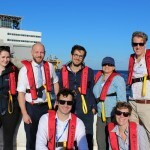 Laminaria: Flemish wave developer Laminaria are gearing up to deploy their WEC at Billia Croo next year with support from the FORESEA programme. Their innovative WEC is being developed as part of the LAMWEC project, and has completed two rounds of tank testing at Plymouth University this year. EMEC largest wave on record: We recorded a wave over 20m high, around 2km from the shore, on 22nd February: the largest we’ve recorded since we established the test site in 2004. CorPower: We’re delighted to see Swedish wave developer CorPower set up shop in Orkney as they prepare to deploy their novel resonant WEC at our scale test site in Scapa Flow in the new year. The journey of CorPower’s WEC from Stockholm to Orkney is shown in the following video. Scotrenewables Tidal Power: It has been a busy year for the Scotrenewables team since the deployment of their 2MW floating tidal turbine – the SR1-2000 – the world’s most powerful tidal turbine back in October 2016. 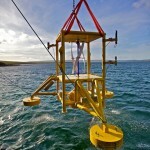 Since then the device has continued to exceed performance targets reaching 2MW rated capacity in April, generating over 18MWh within a continuous 24hr testing period in May (a performance level which matches established offshore wind turbines), and clocking up over 116MWh in less than a week of continuous generation in August (around 7% of Orkney’s electricity demand in that period). Most recently, and most impressively, Scotrenewables have reported that they have produced over 1GWh during testing so far. Looking forward, Scotrenewables are working on the next iteration of their technology – the SR2-2000 – as part of the Horizon 2020 funded FloTEC project. More on that in the new year. Scotrenewables have summed up their 2017 achievement in the following video. Nautricity: We welcomed Glasgow-based Nautricity back after their initial testing at Shapinsay Sound in 2014. 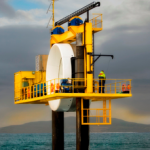 Their contra-rotating CoRMaT tidal turbine was deployed in April and is now in the process of being decommissioned. Tocardo Tidal Power: Dutch-based Tocardo installed their T2 tidal turbine in February as part of FORESEA, in preparation for the deployment and testing of their Universal Foundation System (UFS). As the world’s first turn-key floating tidal power plant solution, the UFS is being developed under the InToTidal project and will incorporate five T2 turbines. Having remained on site since February, the T2 turbine was successfully removed from site in December, shifting focus onto the development of the UFS. OpenHydro: As our longest standing client, having first deployed their piled test rig in in 2006, OpenHydro continue to test a 250kW scale version of their tidal technology at EMEC. Since installing the seventh iteration of their Open-Centre Turbine in 2014, they have racked up over 10,000 hours of run time. 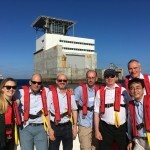 Fully Charged: EMEC featured in two programmes showcasing the activity at the tidal test site and also the hydrogen work. Filming these programmes gave the team the chance to feature other Orcadian initiatives such as low energy housing and domestic battery projects. The programmes received wide acclaim and have amassed a cumulative 250,000 views so far. EC-OG: We were delighted to sign up EC-OG – an Aberdeen-based engineering company from the oil & gas sector. The first full-scale sea trial of EC-OG’s Subsea Power Hub (SPH) system ran from April to November this year. The SPH combines a tidal energy converter coupled directly to a lithium based energy storage system, and has been designed to provide power to various subsea applications. We continue to work with other countries to help develop the market for marine renewables across the globe. The team have made a few trips around the globe to further discussions and collaborations including visits to the USA, China, Taiwan, South Korea, Sweden, Belgium, France, Netherlands, Spain and Portugal. EMEC supported Aquatera with their marine renewable roadmap for Peru, and we’re supporting the development of marine energy test facilities in Japan, China, South Korea and the USA. We’ve also welcomed various groups of international visitors to Orkney, including delegations from Peru, Canada, Norway, Australia, Japan, Sweden, Singapore, USA, Netherlands and Finland. 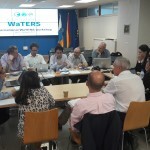 In October, we hosted the 4th International WaTERS workshop with the Oceanic Platform of the Canary Islands (PLOCAN), bringing together 17 delegates spanning ten test centres and eight countries. This year the discussions focused on knowledge sharing within transnational research programmes – including FORESEA, MaRINET2, Marinerg-i and MET-CERTIFIED – as well as looking at specific R&D areas that test centres can collaborate on to support the industry towards commercialisation. 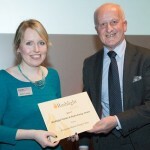 Marine and Hydro Energy award for EMEC: EMEC won the ‘Marine and Hydro Energy’ award at the Rushlight Awards 2016-17. in London.The Rushlight Awards aim to support and promote all the latest clean technologies, innovations, initiatives and deployment projects for businesses and other organisations. 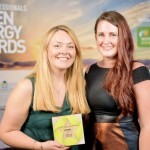 Caitlin wins Scottish Renewables’ Academic Award: Our Consents and Project Officer, Caitlin Long won the coveted ‘Academic Award’ at the Scottish Renewables Young Professionals Green Energy Awards 2017. The award recognises the contribution being made by the next generation of thinkers, shapers and decision makers in the renewable energy sector. EMEC has continuously sought to help maintain the profile of this innovative new sector through meeting with policy makers, engaging with industry groups and providing briefings. The ‘Ocean Energy Race’ campaign led by RenewableUK brought us to the Wave and Tidal Conference at the QE Hall in Westminster where there was a significant Orkney presence. The Campaign highlighted to MPs the unparalleled capacities that exist in the UK as an industrial maritime nation to harness the power of the sea, and economic benefits that can be accrued from leading the development of this burgeoning sector. EMEC contributed strongly to the Scottish Draft Energy Strategy and to the UK’s draft Industrial Strategy consultations. Both of these have now been released as final documents and EMEC sees many of its points taken up or supported by these key documents. 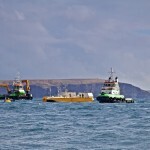 EMEC is looking forward to showing how marine energy will deliver the objectives therein. 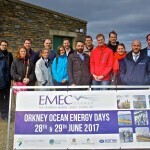 We also hosted a European Ocean Energy Open Day in Orkney in June in association with Ocean Energy Europe. 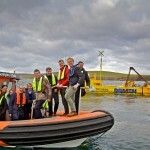 A delegation from the European Commission visited to see the pioneering advancements that are taking place in marine renewables in Orkney and the global potential that this exciting, innovative sector offers. We’ve welcomed 17 new members of staff this year, as well as some internal job changes so we thought an update was in order. See who’s who for details on the full EMEC team. Operations & Technology team: Jonathan Lindsay has joined our Executive Team as Operations & Technology Director, with John Skuse promoted to Operations & Maintenance Manager and Joe Thompson returning to EMEC as Metocean Data Manager. Expanding our in-house technical expertise are: Myles Heward, Anna Southall, David Darbinyan who have joined us as Performance Test Engineers; Gary Clanachan (Engineering Technician); Angus Brown (Maintenance Engineer based in Eday); and Anna Couto (Environmental Engineer, based in Aberdeen). Commercial team: Lisa MacKenzie is covering the role of Commercial & Marketing Manager while Eileen Linklater enjoys her maternity leave. Sheila Shearer has joined the team as Contracts Manager to support maternity cover, and the marketing department has grown with three new Marketing Officers: Erica Mathers, Carly Tait, and Sarah Jessen. Having worked at EMEC 2016/17 as our Graduate Marketing Officer, Catrin Sutherland has returned to EMEC to take up a new post as Commercial Development Officer, and Jon Clipsham and James Ferguson have joined the team as EMEC’s Hydrogen Development Manager and H2 Development Officer. Business Support team: We welcomed Susan Learmonth as Contracts & Grants Administrator and Glenn Mauchline as Administration Officer. Board changes: John Griffiths stepped down from the EMEC Board earlier in the year, however continues to work at EMEC as an Associate. Sheryl Young has joined the team as Non-Executive Director. With FORESEA and MaRINET 2 instigating a resurgence of developers coming to test at EMEC, we’ve got an exciting pipeline of developers making their way to the UK to test here in the near future with deployments from CorPower, Laminaria and Magallanes eagerly awaited. We’ve got some exciting new projects due to kick off in the New Year so watch this space! “2017 has been another remarkable year in a long line of remarkable years. But what marks this one out for me has been the commitment shown by customers, staff and the supply chain to keep pushing to make marine energy work. Back in February and March there was a flurry of activity to get developers in the water before the Government turned off the support mechanism. And we did it. At one point there were four developers all mobilising to get in. “And now as I write this in the week before Christmas, we have the Wello Penguin wave machine still out at sea at Billia Croo having survived some of the biggest waves we have seen at the site (over 18m). We have just seen Tocardo successfully recover their tidal platform to Hatston Pier after their tests before they return with their next model. Scotrenewables are still out at sea with their SR1-2000 tidal turbine having achieved its longest run at Eday during which it clocked up an unprecedented 1,000,000kW hours of generation in a single deployment and delivering 7% of Orkney’s electricity over a week. 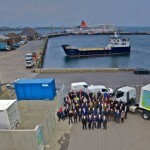 “And, to get around grid inadequacies, another world first for Orkney. We also started to produce hydrogen from tidal energy to begin to let us power our ferries. “None of this happened by accident. “After so many years of hard work I believe 2018 will be the year that several of the jigsaw pieces we hold are finally seen to fit together. If we want it, then this year can be the one when sustainability is locked into policy and we really begin to deliver change. And with this track record I feel EMEC, and indeed Orkney, is perfectly placed to help that happen. We wish you all a Merry Christmas, and look forward to an exciting 2018!